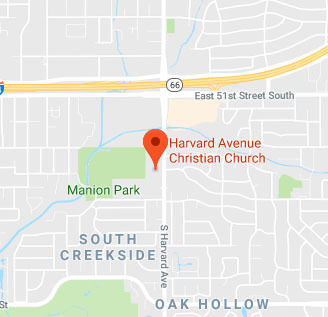 Harvard Avenue Christian Church began as an outreach of the Northeast District of the Christian Church of Oklahoma. It was a response to the southward expansion of Tulsa. Our first worship service was March 22, 1959 at McClure Elementary School with 66 people attending. At the close, 38 stepped forward to become our first charter members. The Rev. Robert Peake was our minister then and remained until his retirement in 1989. Our church continued to grow under the energetic and effective leadership of our next three senior ministers, Dr. Donald L. Lanier, Rev. Stephen C. Wallace and Rev. Kent Dorsey. Our present senior minister is Rev. Mark Briley, who began his ministry here in 2009.